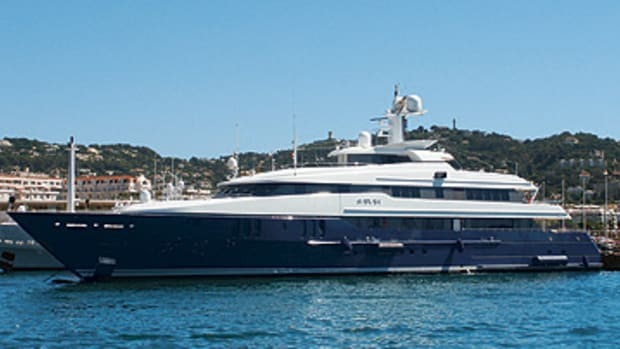 Six decks provide quite a good amount of play space aboard this yacht. 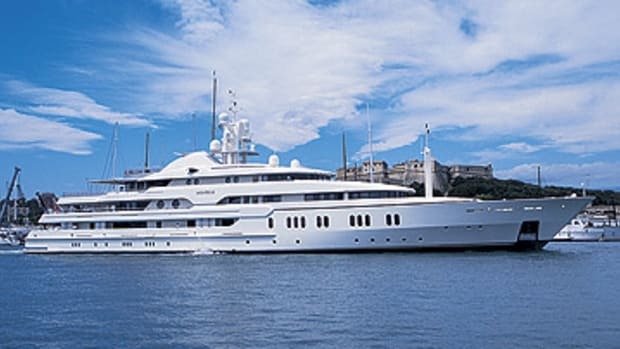 She was in Copenhagen in May, where a tour-boat operator reportedly told his passengers that she belonged to a Microsoft millionaire (but not, oddly enough, Bill Gates, given how so many people think he owns practically every yacht afloat). If you get a chance to see her for yourself, you may notice “P.B.” on her transom, alongside her name. Their meaning has been the subject of debate—some folks have guessed, without confirmation, that they’re the initials of a family member—but the yacht’s official name is simply Lady Anne.